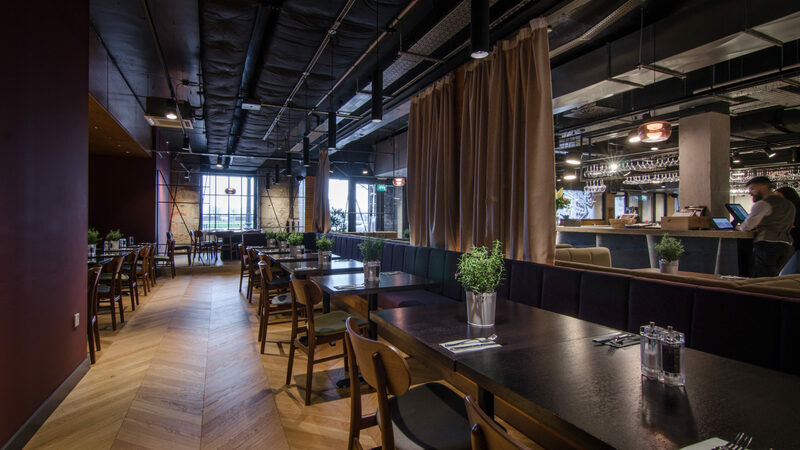 We hope you will enjoy exploring our portfolio of work below. The Hideaway Experience are boutique hotel suites for couples, nestled in the Sidlaw Hills near Dundee, with beautiful views over the River Tay and hills beyond. Single storey garden room extension and internal alterations to stone built semi-detached villa. 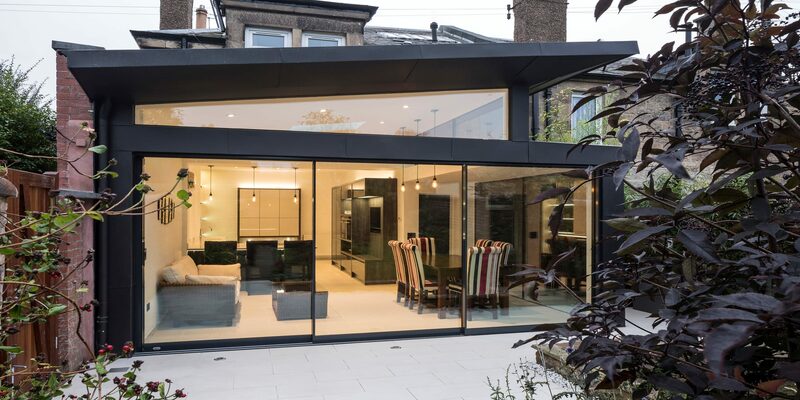 The client was seeking a cutting-edge piece of architecture incorporating large areas of glazing, maximising the link to the garden and bringing in as much daylight as possible. We also provided a re-designed garden to allow a flush transition from house to garden. External lighting shows the garden off to its full potential when viewing from the extension at night. 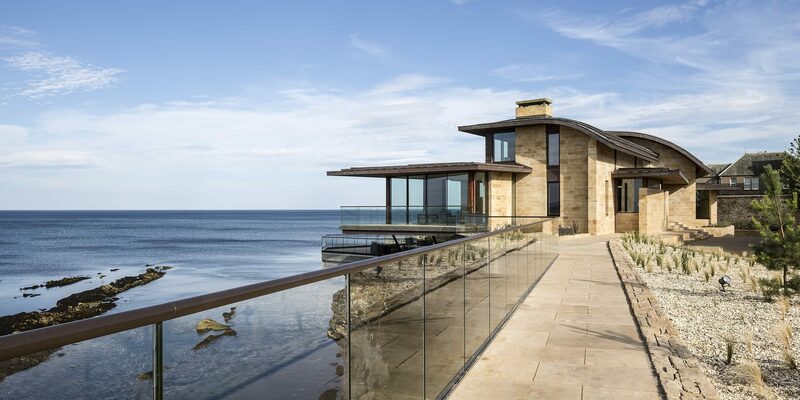 Large cliff top house with panoramic sea views situated adjacent to St Andrews Castle. 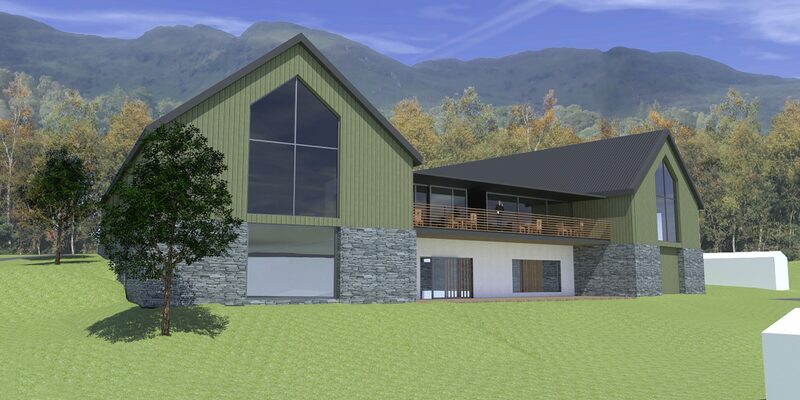 This facility will become part of the Loch Earn Leisure Park when completed later this year. 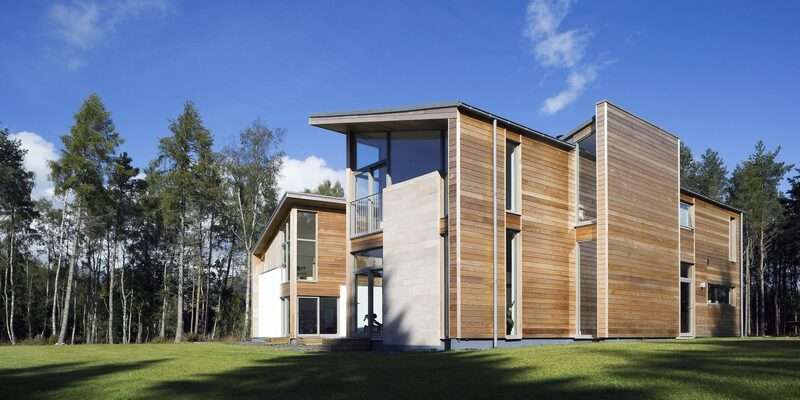 Two storey detached 5-bedroom house clad in sandstone and cedar. Set out in two wings with the entrance area forming the link. 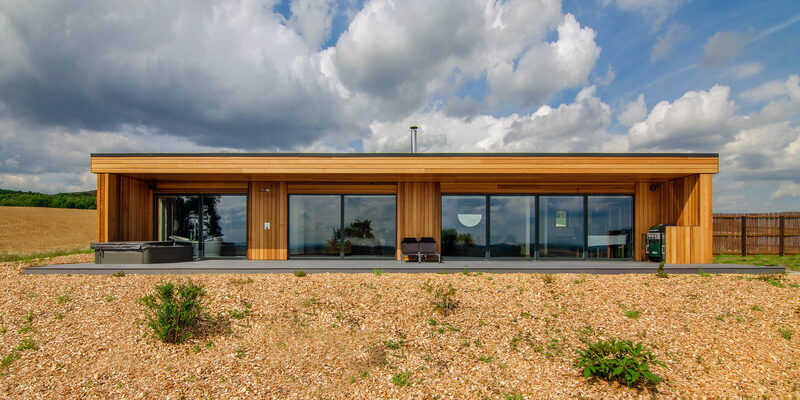 The house site extends to 34 acres in all, with the actual house plot sitting within a clearing of around an acre looking over a fishing pond.